Left to right (with links to fabric/pattern source): Vintage shirt dress (Sew Over it pattern), chambray with anchor print and navy lawn contrast; College yoga pants designed by Named Clothing for Finnish magazine Kotiliesi Kasityo using cotton/poly sweatshirt fabric from stash; Natalie top by Liola patterns in a Liberty lawn from my stash; another Deer and Doe Fumeterre skirt in navy chambray. I'll share more details about the dress and the Natalie top- I love the dress, not so much the top. I've lost weight this year, my top half is definitely leaner and loose styles are not doing much for me at the moment, fitted is definitely better. 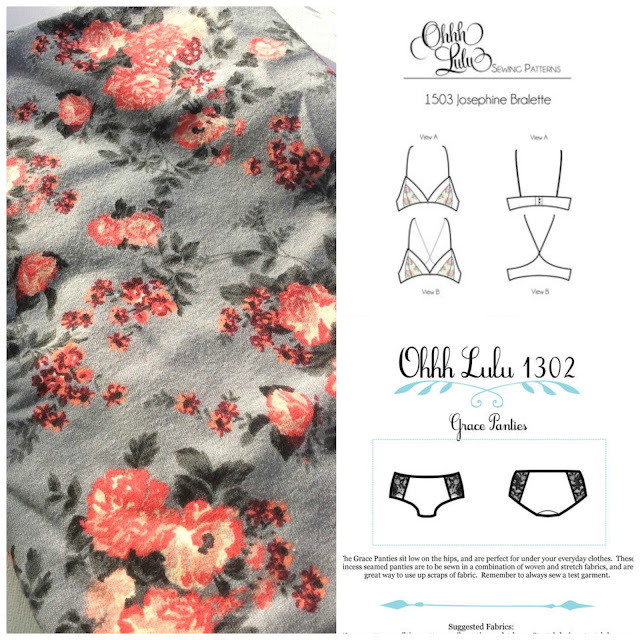 Looking to January I'll be sewing some undies with this gorgeous floral jersey from Girl Charlee and a couple of Ohhh Lulu patterns. The fabric is a cotton and poly blend although I wouldn't be able to tell that from the feel. 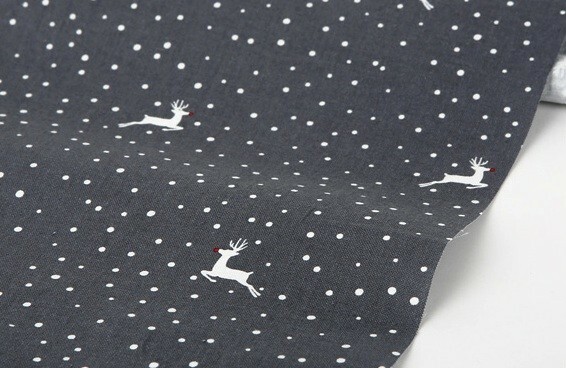 It seems softer and stretchier than the fawn fabric I used from them and I've already seen Sarah from Ohhh Lulu use it for her designs and it looks perfect! I need to make a couple of testers of these styles before I cut into it though. Quilting this year has been about two quilt alongs, the My Small World- find here, and the 1930s Farmer's Wife which will restart next week. 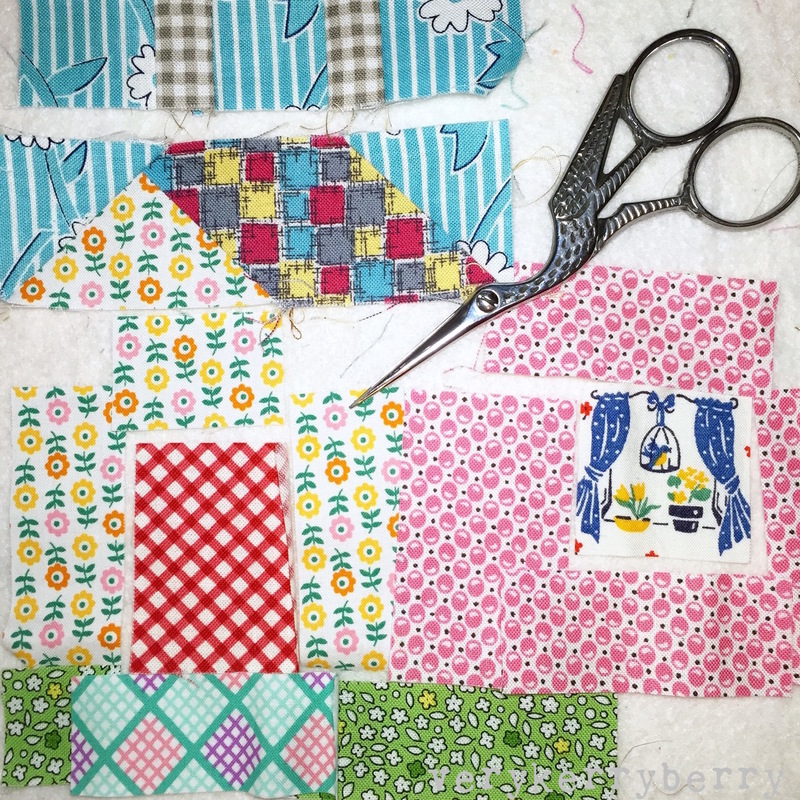 I've enjoyed them both, they have improved my piecing and my completion rate having to get them ready for regular blog posts. The Farmer's Wife blocks have given me a fresh appreciation of 1930s prints and of bright solid colours and I look forward to more blocks from all the participants next year- newcomers are welcome to join at any time. Next year involves facing a few fears and travelling to USA for Glamp, to see sewing friends - they know who they are, and having middle age adventures with my mate Kathy! Ultimately, however a year has being, at this point I feel glad and grateful to come out of it ready to embrace a new one. Thank you for reading, looking at pics, leaving comments, sending emails or getting in touch via Instagram, Twitter, Facebook or Periscope. The sewing community is a wonderful thing to be a part of. Whether you are glad to see the back of this year or are looking forward to the future, Happy New Year! 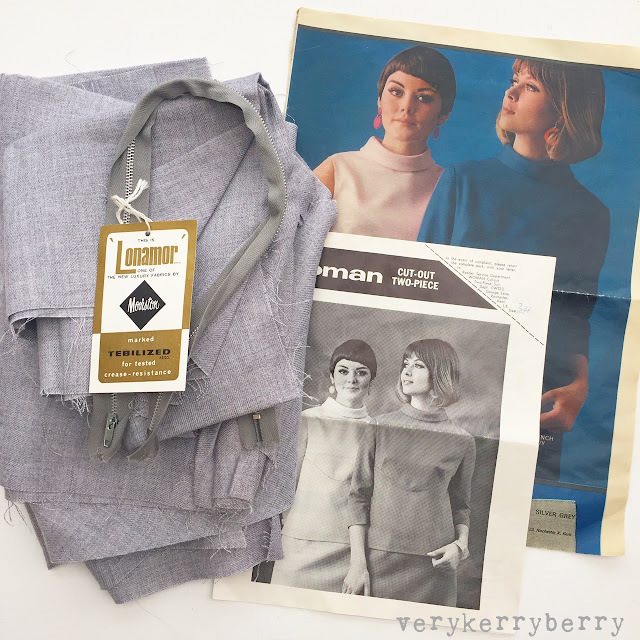 Marie and Kerry's Vintage Pledge sewing initiative has concentrated my mind this year on more vintage inspired sewing than ever. 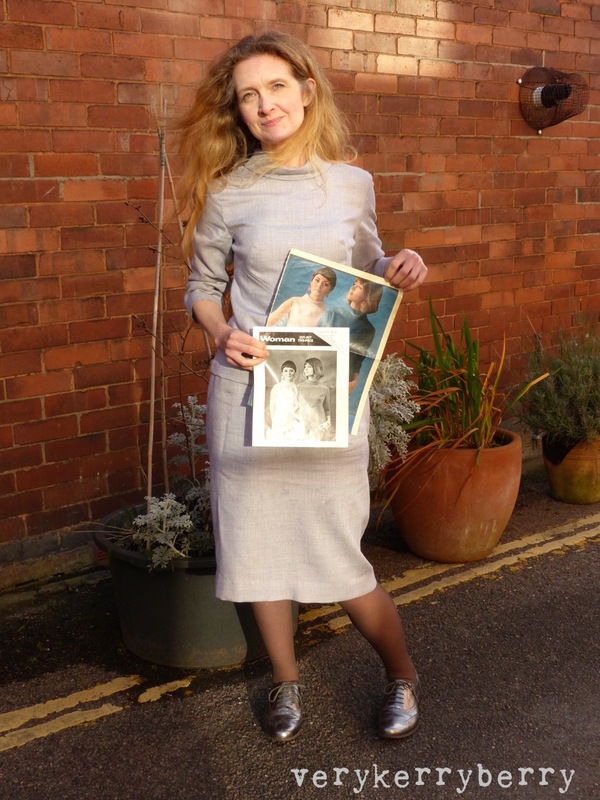 Seeing the pattern collections and beautiful clothing that come up as part of Vintage Pledge is further incentive. A few weeks ago at the local carboot sale I stumbled on an amazing vintage find: a sewing kit dating from the 1960s, complete with original fabric label, zips and the 'Woman' magazine page and coupon feature. It was size 34"- equivalent to a dressmaking size 12. 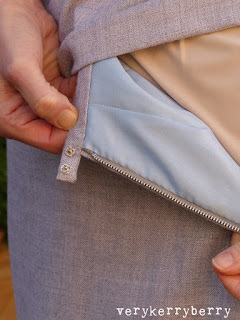 The fabric is ready cut out with notches snipped into the seam allowances. I made the top a few weeks back and this week I finished the skirt so that I could wear the whole thing on Christmas day. Yesterday the sun shone so I borrowed my daughter and went on a quick photo shoot down our road. For the top, I made the top as it was with the addition of a plastic zip rather than the original metal which I didn't fancy against my skin. 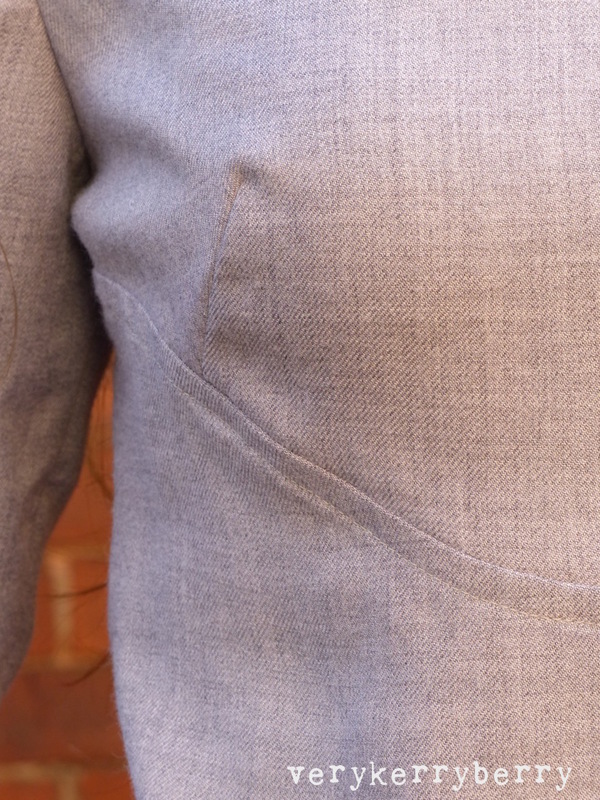 I took in the sides as it was rather boxy and I am more of a 32" top half, but otherwise unchanged. This is quite a contrast to my usual vintage styles, I don't usually wear 1960s designs but I was so taken with an original kit that had never been sewn. 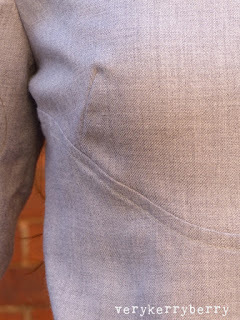 The fabric is a British made twill and it feels like there is some wool content in there as it is a little itchy- I am wearing a slip underneath. 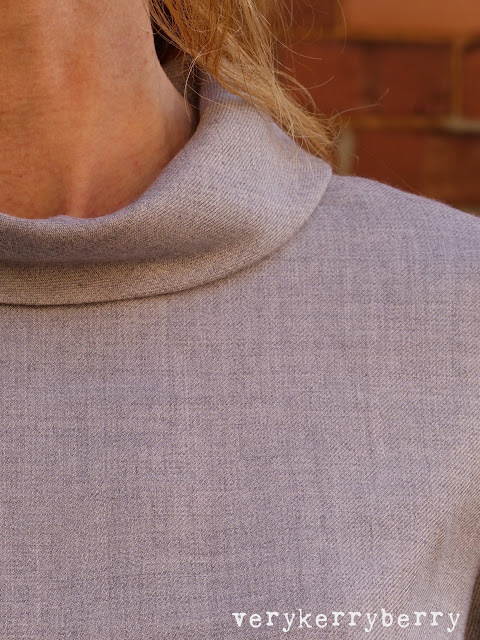 I love the yoke front detail and the neckline which is again totally different to all my other tops. Shoes are Hamble Oak by Clarks. All hems are handsewn with catch stitch and slip stitch following the instructions. There's only one line of top stitching (on the yoke detail) and the invisible hems fit with the original 1960s aesthetic. 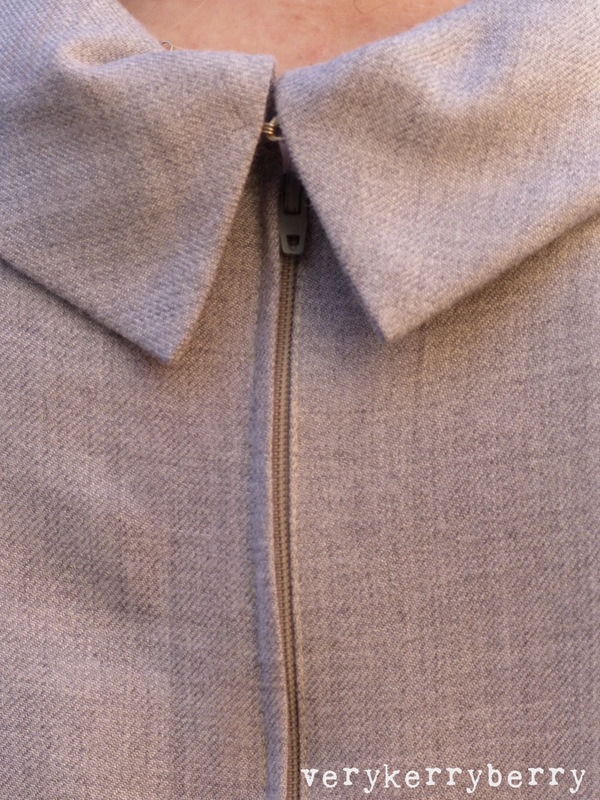 It's not perfect, the fabric around the back zip rippled a little and would've been better with a strip of interfacing to stabilise it but I can live with that. I was lucky. 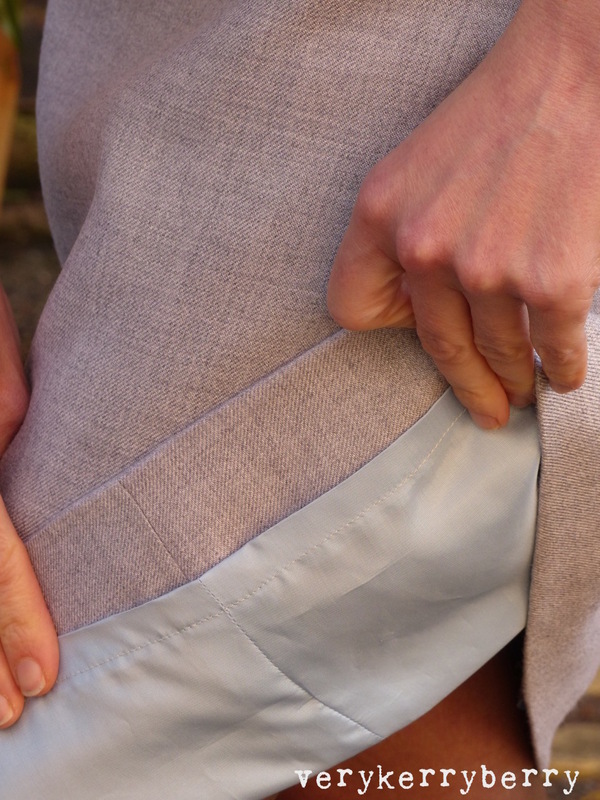 The fit on the skirt is spot on and the top was relatively easy to adjust from the side seams only. I shortened the skirt by an inch or so and added a lining. 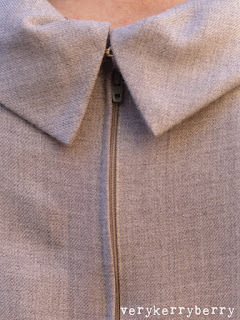 As well as the hand stitched hems, there's also a hand stitched loop on the back neck collar and press studs on the waistbands- my preference, I find little hook and bar can dig in. This is a straightforward block which took me around an hour to cut and piece. I used rotary cutting for the half-square triangles and square and freezer paper templates for the remaining triangles. As with almost all my blocks, I used foundation paper piecing and I pre-cut all my pieces before I started sewing. 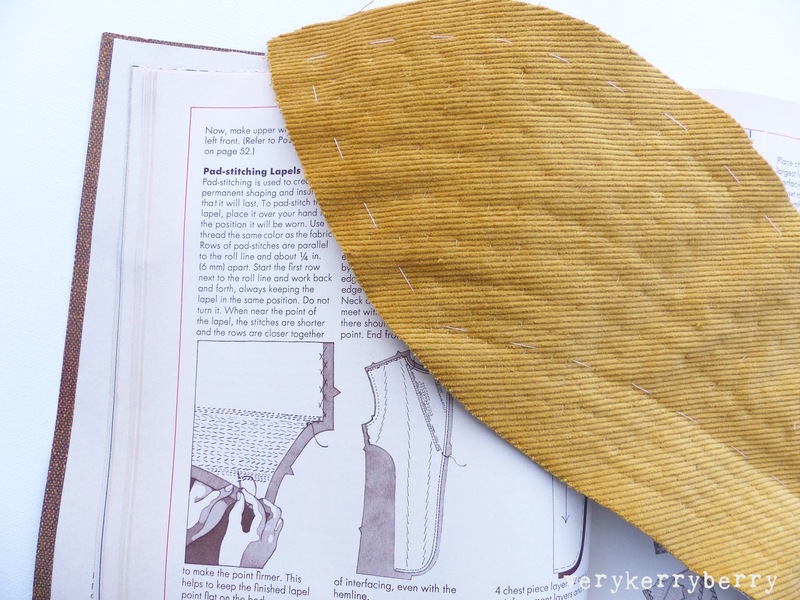 My rotary cutting measurements are for foundation paper piecing and create seam allowances larger than ¼" so that your fabric pieces are larger than needed- if you like more wriggle room, cut even bigger! 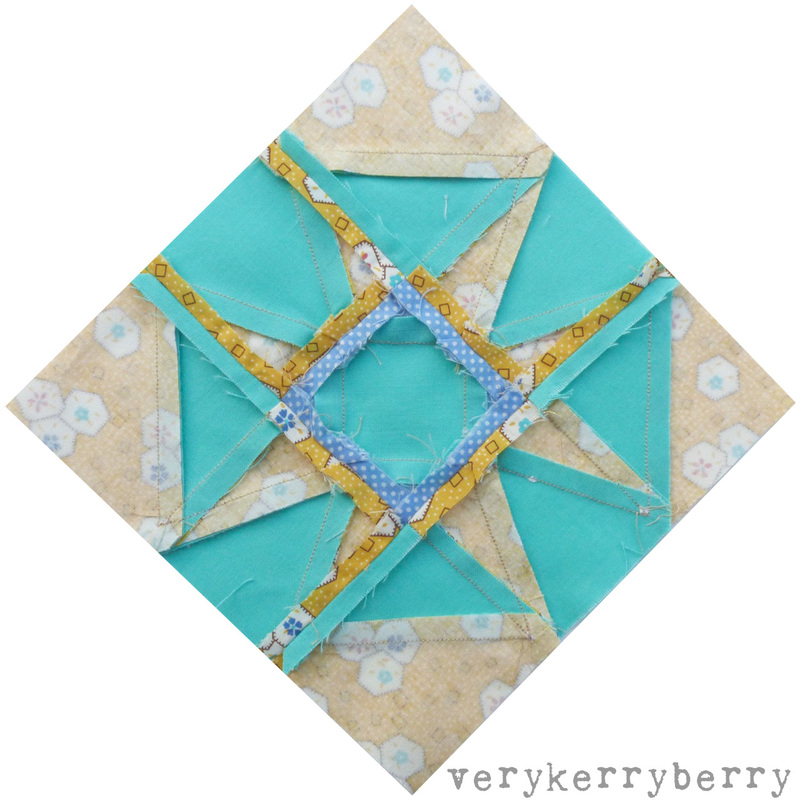 Small half square traingles: cut (2) 2 ¼" squares in blue; sub-cut each once diagonally to make 2 half square triangles. 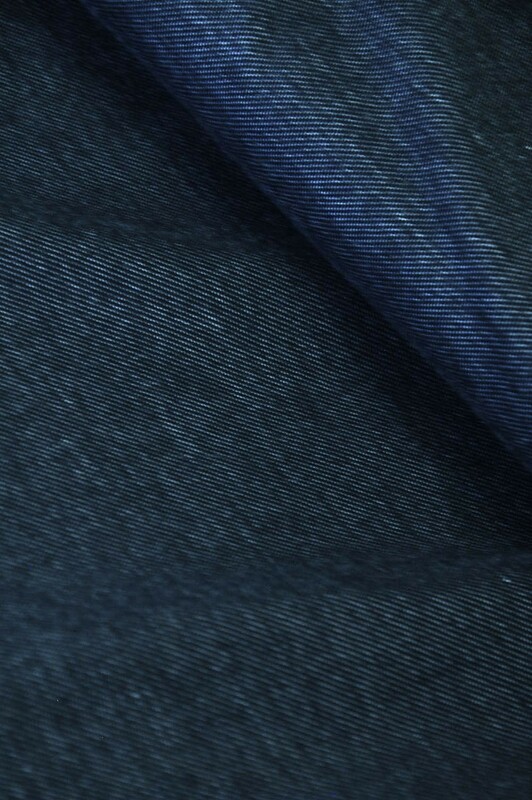 Have a strong contrast between the fabrics used. 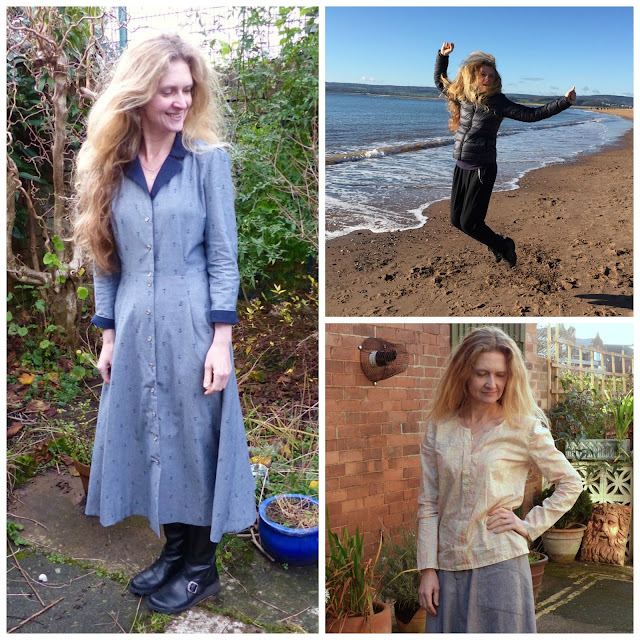 Jo from a Life in Lists is guest posting on Em (p.189, letter p.83). There are 84 pieces in all so it may drive you a little crazy just dealing with such small pieces of fabric but although it took a long time to sew I didn't find it as bad as I imagined. Read about Jo's experience here. This is my version of Em. Bonnie and Camille for Moda, Daysail crosshatch in aqua. Use the hashtags Don't forget to use #fw1930sqal on Instagram and the Flickr group if you like to share there. For individual blocks, you can use #dorisblock and #emblock on Instagram, Fat Quarter Shop and Angie are using these hash tags, #fw29doris, #fw30Em, I'm using both hashtag systems. You can also copy and paste links to any blog posts you do on these blocks in the comments and I'd love to visit and take a look. You are welcome to watch and join in the chat on Periscope at 2.30pm GMT today, I'm periscope.tv/@verykb. It will be available for 24 hours to replay before it disappears! Link will be in my twitter feed @verykb and I'll post on Instagram and twitter about 15 minutes before it goes out. Please note: I have linked to my sponsors on items bought through them and elsewhere for anything that has come from other shops. You can join the quilt-along at any time, all the posts are here for you to catch up with. The quilt along is taking a break for a week whilst Christmas and holiday activities kick off. We return 4th January and Charise from Charise Creates will be back for another guest post. In the meantime to all those following the quilt along in any way, Merry Christmas, Happy Holidays and see you in 2016! 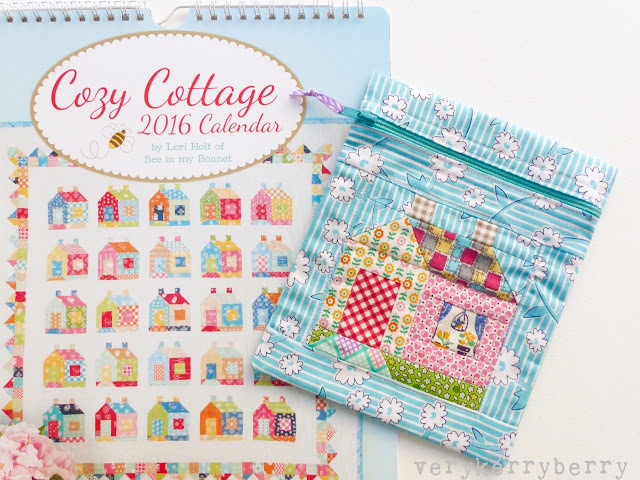 Fat Quarter Shop kindly sent me a copy of Lori Holt's Cosy Cottage Calendar. It arrived a little late for the blog hop but in time for making Christmas gifs. The Calendar is full of Lori Holt vintage style eye candy, lots of quilts, kitchens and domesticity plus a regular calendar with USA dates which is a bit of a novelty to a Brit! 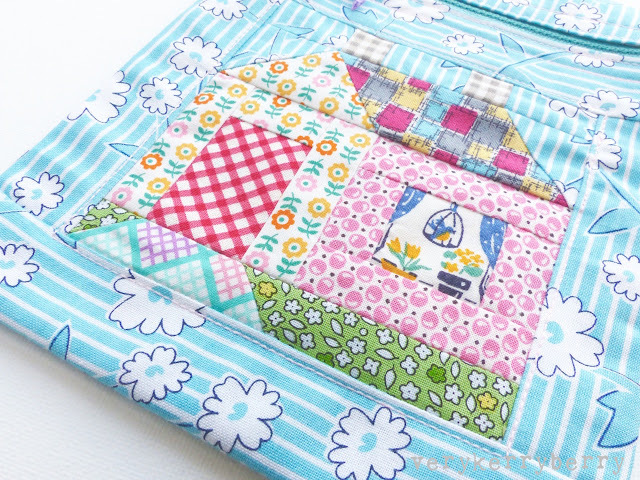 It also comes with two rotary cut versions of the school house pattern- different sizes- and instructions to make a mini quilt and a pillow. 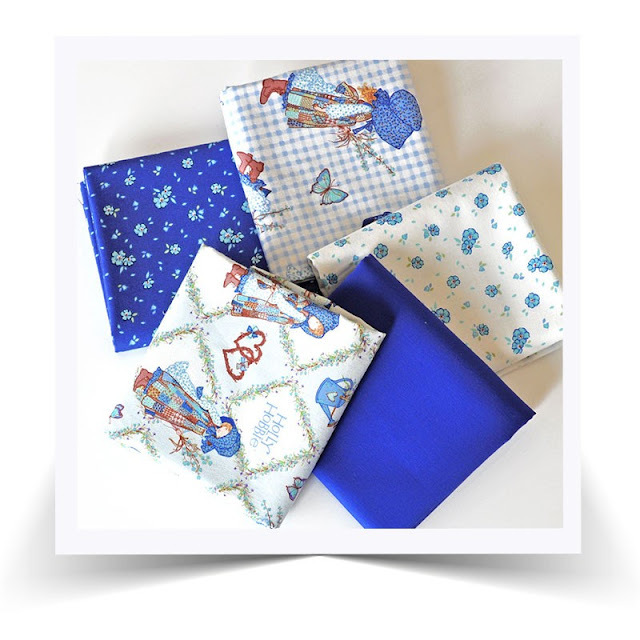 UK/EU quilters who want the calendar in time for new year can find it at Pretty Fabrics and Trims. I started on the smallest house. 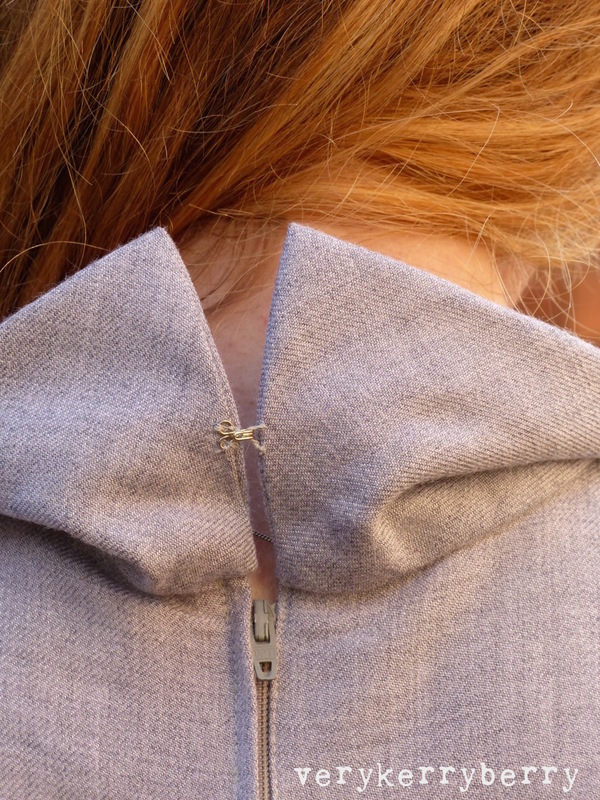 I love how the big pieces shrink down quickly when sewing them together. 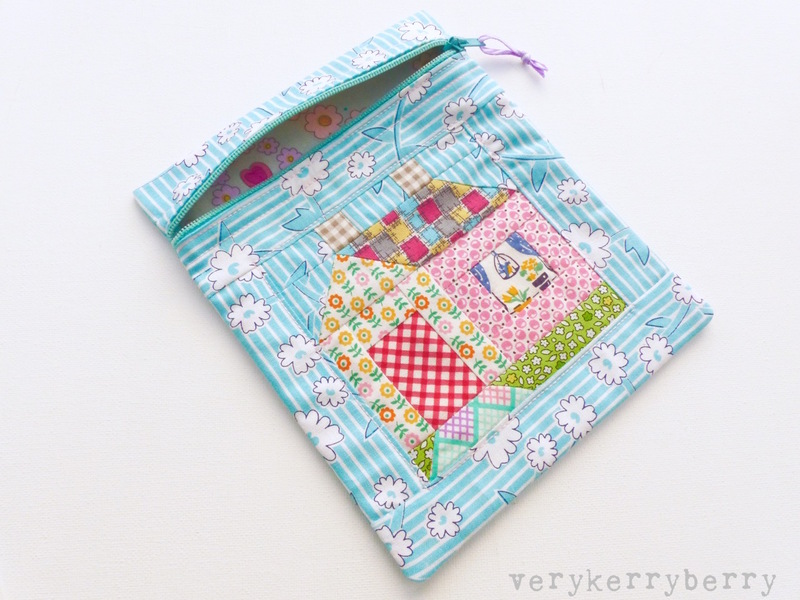 I then made the little block into a quilty zip pocket following Lori's free pattern from her blog; it's a great tutorial to use for single blocks and easy to adapt for different sizes. The seams are finished with zig zag inside but you could also finish with twill tape to hide all the edges. Mine ended up 6" x 8" approx. I filled it with some bits and pieces as a little extra gift for my granny, hand cream, emery boards, sweets- that sort of thing. 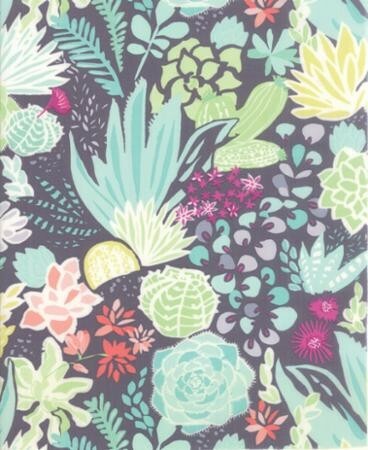 She loves birds and her garden so the fabric choices have her in mind. Labels: bee in my bonnet, lori holt. Bonnie and Camille for Moda, Daysail crosshatch in green. As with almost all my blocks, I used foundation paper piecing and I pre-cut all my pieces before I started sewing. 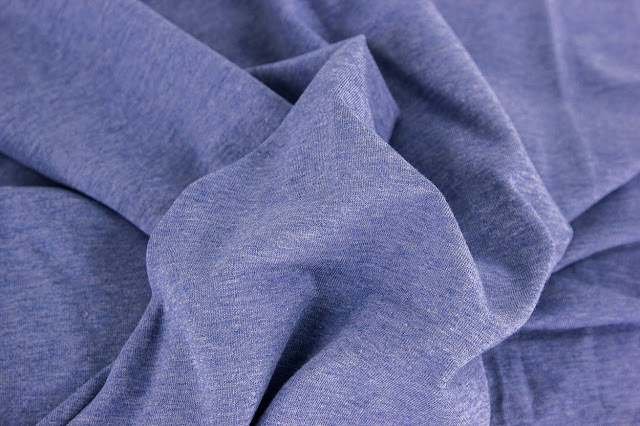 My rotary cutting measurements creates seam allowances larger than ¼" so that your fabric pieces are larger than needed. Small half-square triangles: cut (2) 2" squares in green, 8 in violet and 4 in peach. For each square, sub-cut once diagonally to make 2 half square triangles. 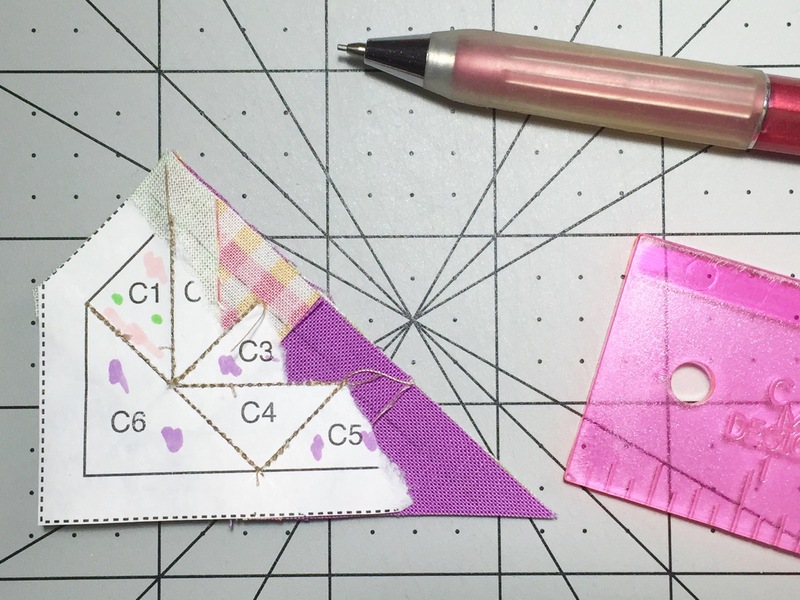 Large half-square triangles: cut (2) 3 ½" squares on point (to avoid bias edges on outside block edges), sub-cut each once diagonally to make a total of 4 half-square triangles. Cut the fabric for single template pieces bigger than needed and trim down using the surrounding paper pattern for accuracy (as seen below). Only remove the paper when needed. I tore off parts of the paper and pencilled in seam lines to mark where seam points meet to join sections together accurately. For individual blocks, you can use #dinahblock and #dollylblock on Instagram, Fat Quarter Shop and Angie are using these hash tags, #fw27dinah, #fw28dolly, I'm using both hashtag systems. Watch and join in on Periscope at 2.30pm GMT today, I'm periscope.tv/@verykb. It will be available for 24 hours to replay before it disappears! Link will be in my twitter feed @verykb and I'll post on Instagram and twitter about 15 minutes before it goes out. The letter for Dolly is, 'That Easy Road' and the message of it- 'less is more' - is apt for the time of year, with the exception of Christmas trees where 'more is more' seems to be the best option, for me anyway. Try not to get lost in the hurly burly of all the end of term and pre-Christmas/holiday madness. In many ways, chaotic though it is, this time of preparation and anticipation is my favourite. 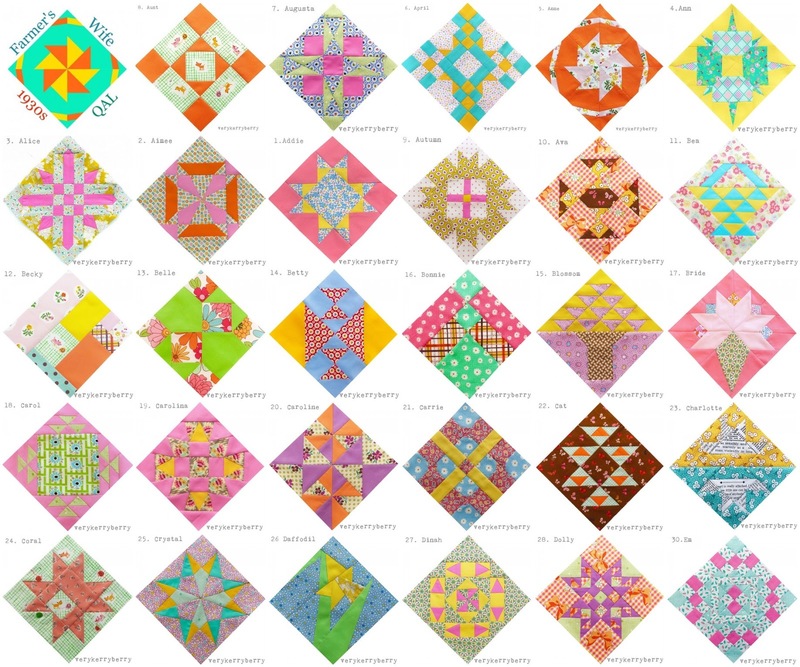 You can join the quilt-along at any time, all the posts are here for you to catch up with. Back next Monday for the last post before a week's break for Christmas. 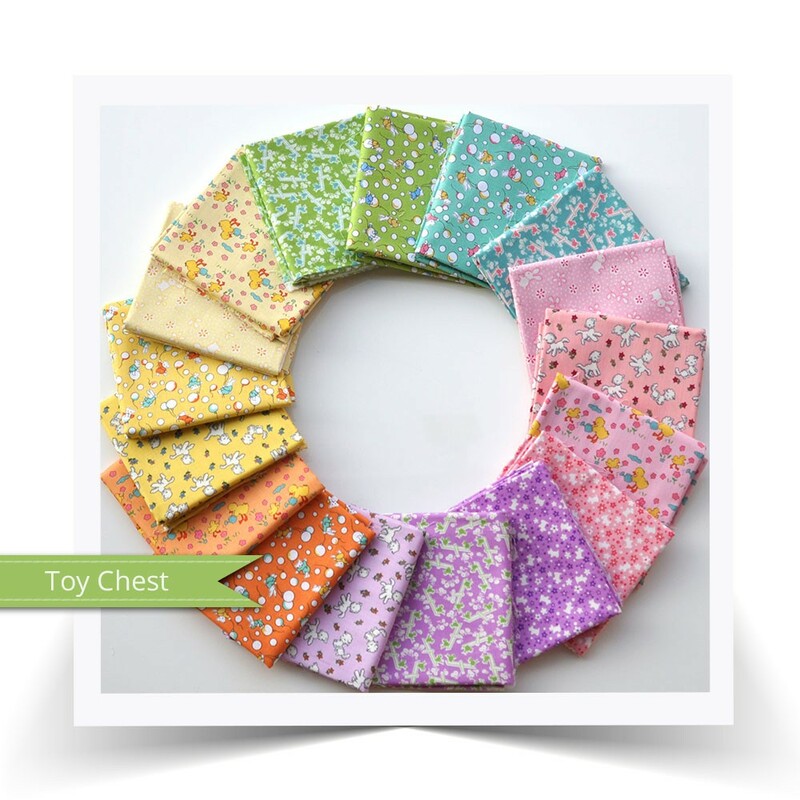 I'll be joined with Jo from A Life in Lists and we're sewing blocks 29 and 30. Block 30 has 84 pieces, brace yourselves! and this is Alley Rabbit- possibly my favourite. 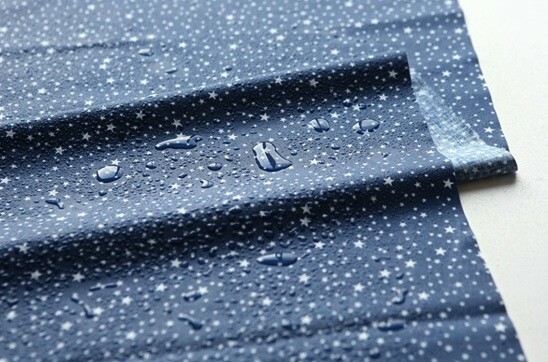 This is Starry Night- pic showing it's water resistant properties! 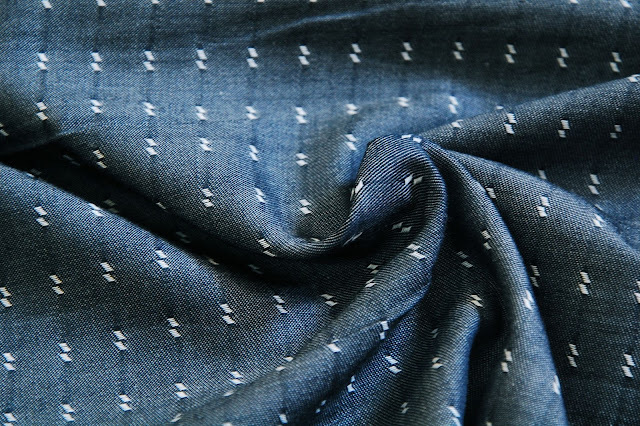 So many denim style fabrics have arrived that they have a new category in the online shop. 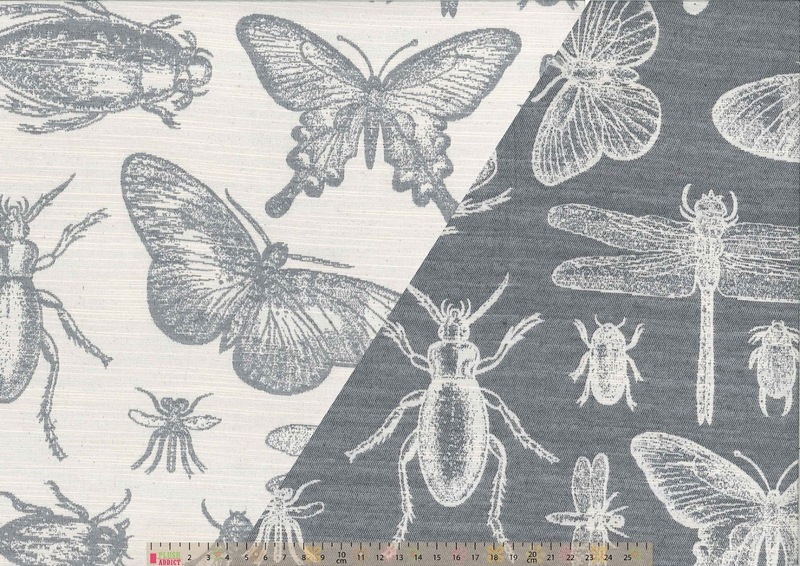 Choose from including Robert Kaufman Chambray Dobbies. 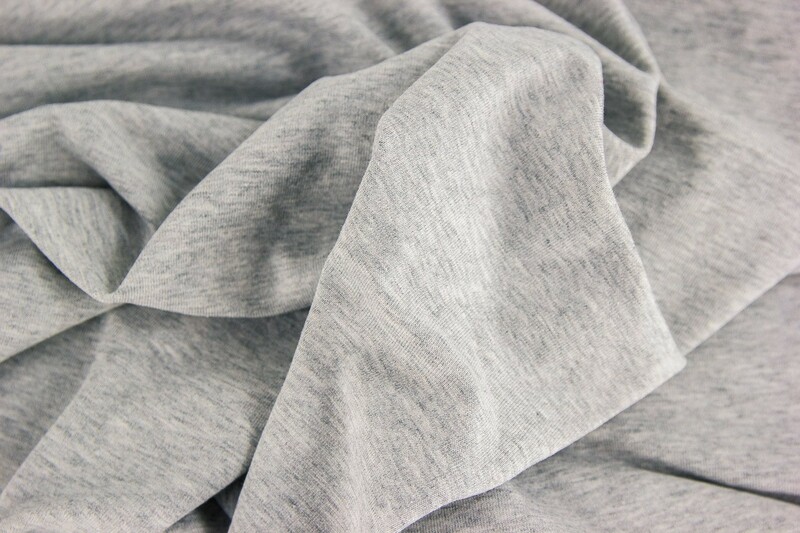 This is a lightweight, suitable for shirts. 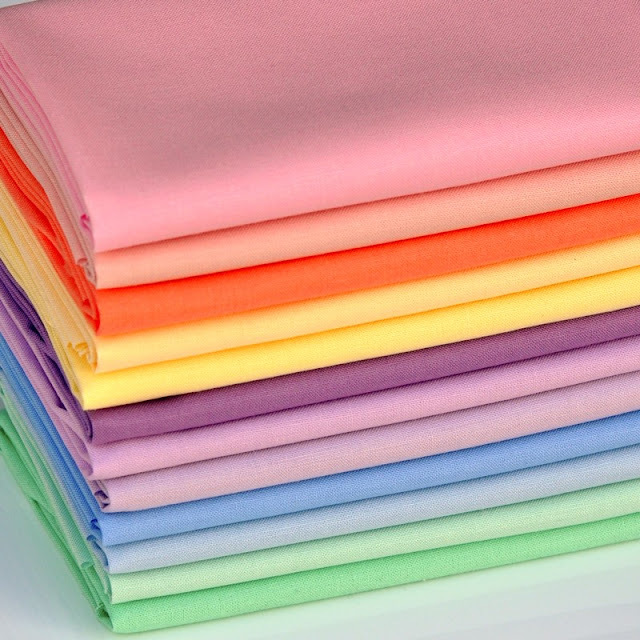 Skirts would need to be well gathered and possibly lined. I have a couple of metres of this waiting to be come a Pauline Alice Cami dress. 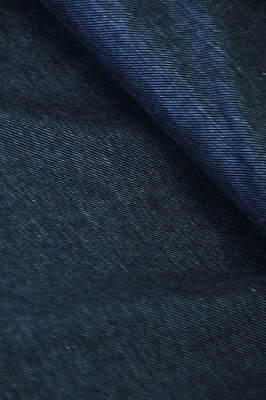 To denim jersey-90% cotton, 5% poly, 5% elastane- 150cm width. 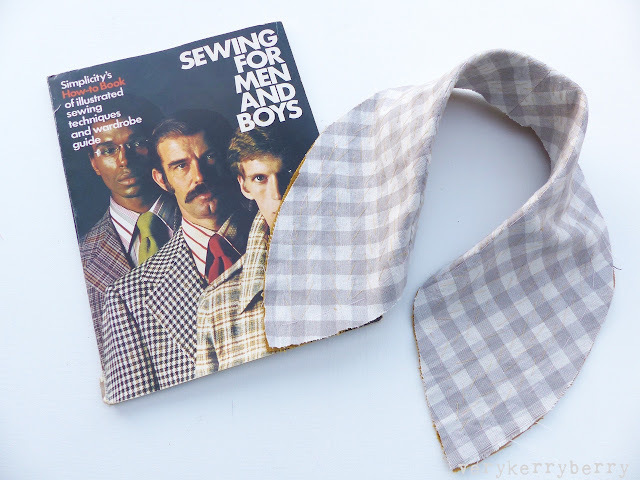 Looking for a stocking filler present for a crafty friend? I found these felt pincushion kits- button, hedgehog and ladybird, £7.30 including everything needed to make them. Time for my second of three early December visits to my blog sponsor shops and it's the turn of Plush Addict. 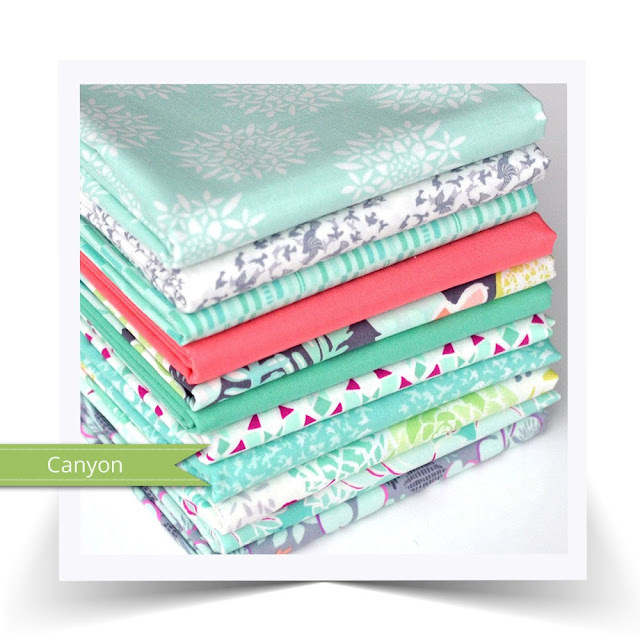 Good timing too as there is currently a 7 Offers of Christmas promotion with different 48 hour deals- today and tomorrow is 20% off all quilting cottons and it including bundles and yardage! 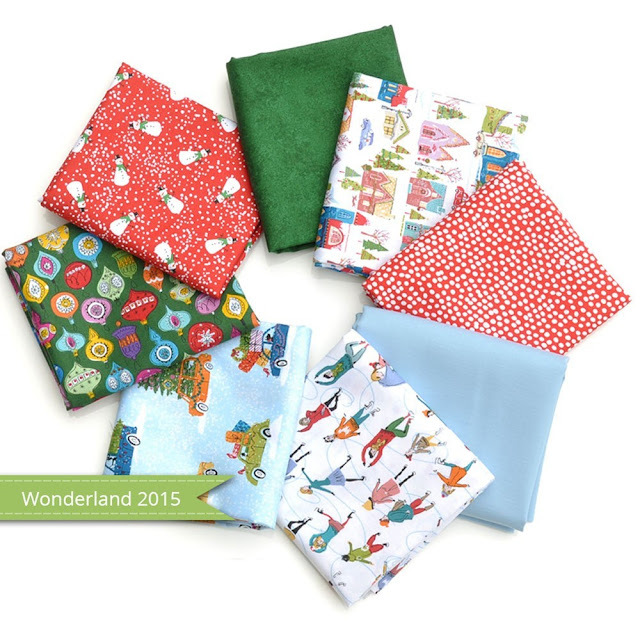 For a quick burst of Christmas, I like the Christmas 2015 Bundle of 8 FQs, especially the skaters and the houses. Toy Chest is a candy coloured rainbow of 1930s animal prints from Riley Blake. The prints are from Penny Rose fabrics. Yardage is here. 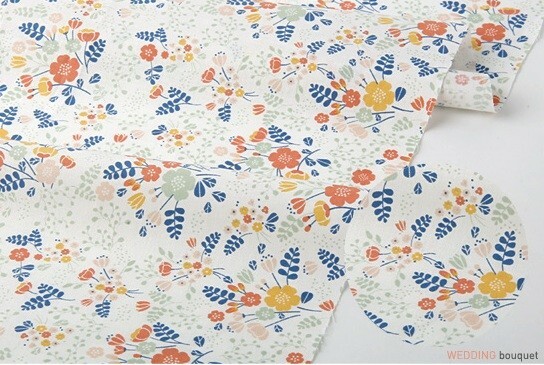 Definitely a print range to consider for the Farmer's Wife 1930s quilt-along! Co-ordinating Kona prints have been added too. 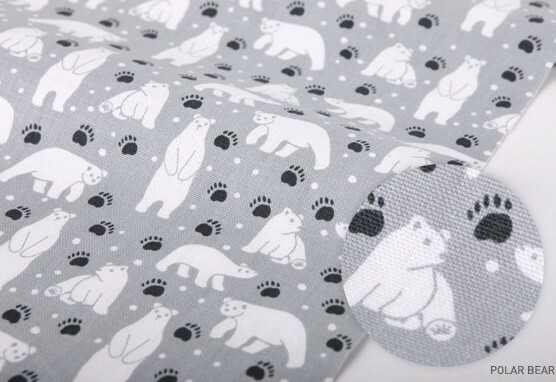 See the full range plus precuts here. The Desert Moonlight print is the stand out for me. 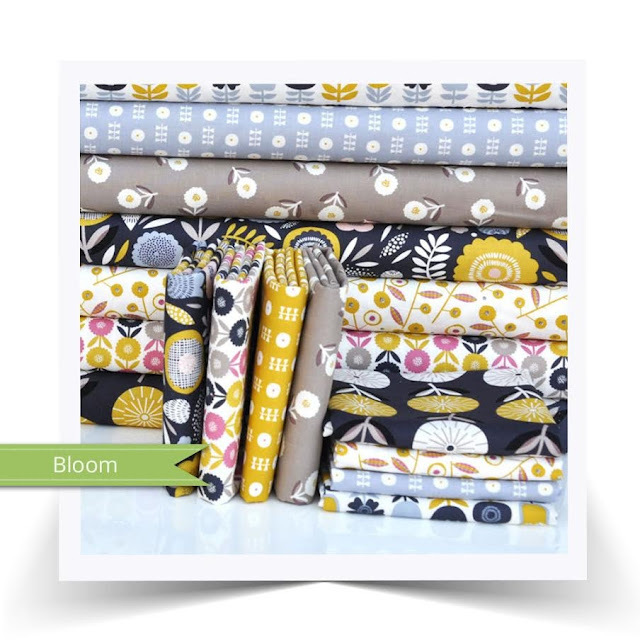 I think Bloom is my favourite range from Dashwood fabrics so far- they've certainly had a good year! I like the variety of scale and the colours. You can find yardage here. I can distantly remember a Christmas when I wanted Holly Hobbie everything, I think I received a bag with a mini Holly Hobbie doll in the front pocket that I adored- circa 1980. And here's the 21st century return in a handy bundle...find individual fabrics here. It's a large scale, reversible print which offers up lots of possibilities- double sided cushions, curtains which look good from both sides etc! 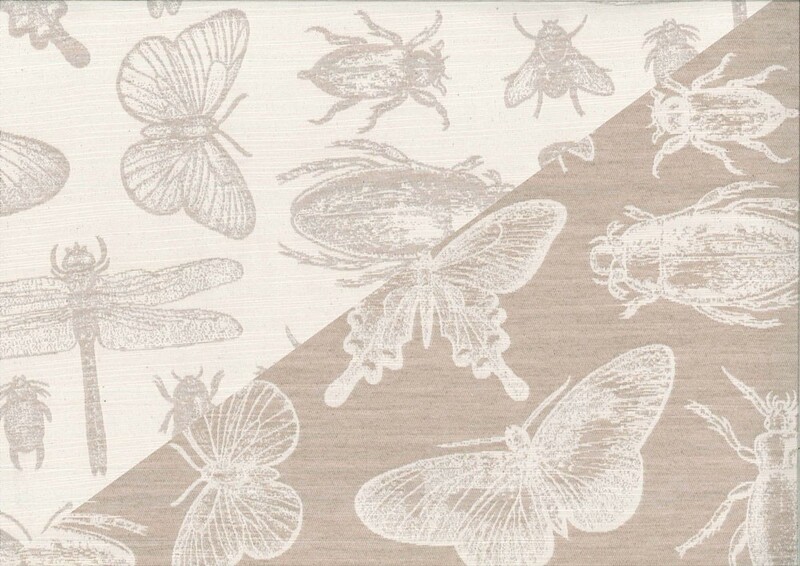 Also available in a fawn colour way. 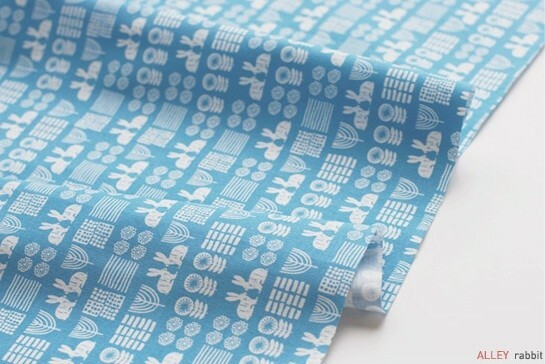 These fabrics are wide at 140cm wide with a 32cm pattern repeat. 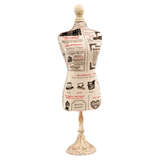 Or a fancy pincushion, I love this mannequin, sewing space eye candy! And don't forget basics like interfacing and threads. And if I was to give you a hint for a future bargain, I'd say, start planning which Kona cottons you need to restock ;). Enjoy and keep an eye out on @PlushAddict on Twitter for bargain announcements!